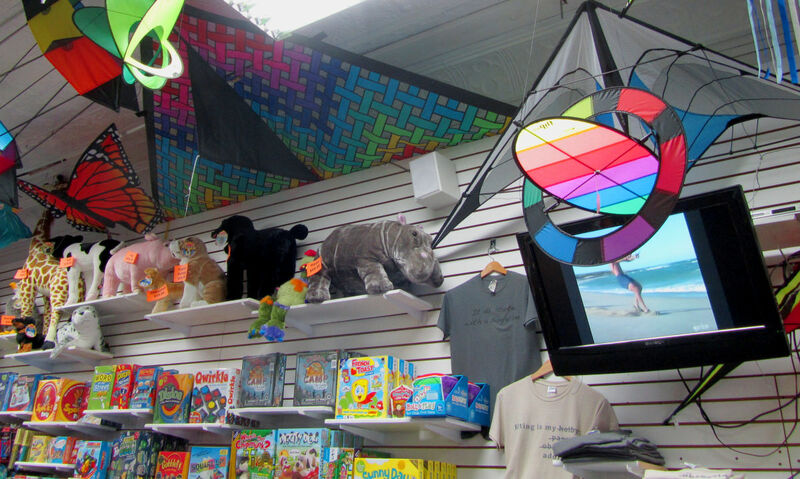 MACkite was founded in 1981 as a kite shop in Mackinaw City, MI. 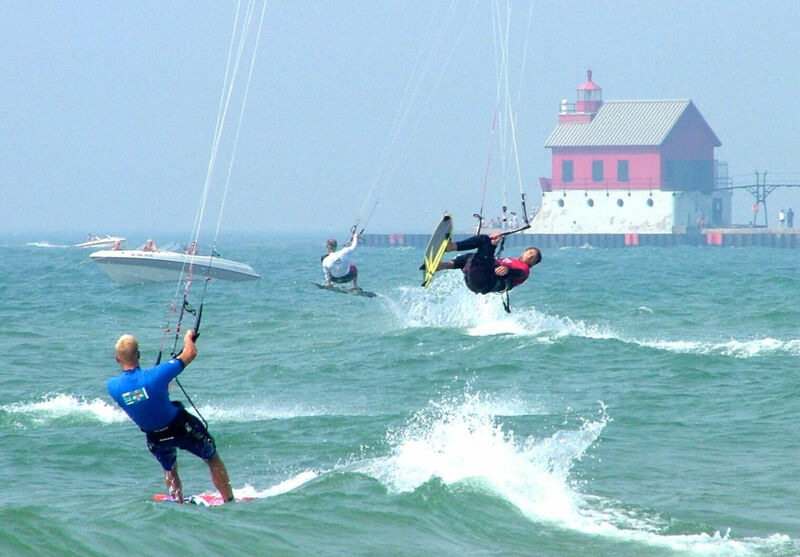 Today we have two stores in Grand Haven, MI and carry not only kites, but windsocks, banners, toys, games, surf shop apparel & accessories, and boardsports like kiteboarding, Stand Up Paddle, skate, snowboarding, and now even skiing. Although our product selection has grown over the years, we've remained true to our mission: to be "Where FUN Begins!™"
We carefully select each product we stock so that our customers know they'll be getting a quality item that's a ton of fun. Whether you're visiting us in-store or online, you can shop with confidence. What brands does MACkite carry? Too many to list! 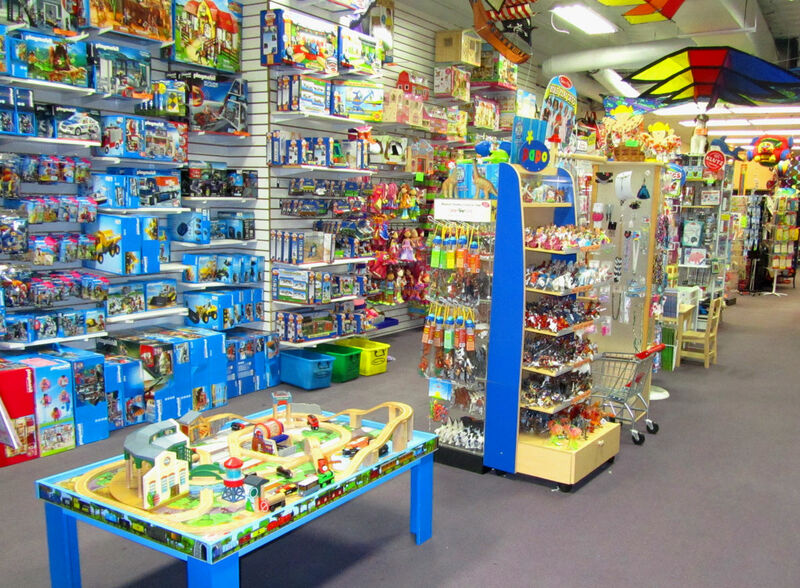 Some major brands you'll find at our Toy & Surf Shop include Playmobil, Melissa & Doug, Thomas Wooden Railway, Calico Critters, Blue Orange, Gamewright, Prism Kites, Hurley, Dakine, and Roxy. Take a virtual walk around the shop and see for yourself! Some major brands you can choose from at our Boardsports Center are Cabrinha Kiteboarding, North Kites, HQ Kites, Liquid Force Kites, Slingshot Kiteboarding, Rome Snowboarding, Never Summer, and Nordica. How long has MACkite been shipping orders? We've been filling mail orders almost as long as we've been around. With our first location in Mackinaw City, MI and our current location in Grand Haven, MI, both of which are popular tourist towns, we quickly discovered that our customers loved to call us up and ask us to ship them items they'd wished they'd bought while visiting. Then they called back to order more for their friends- or to replace the one their friends "borrowed"! In 1998, already with over 15 years' shipping experience, we launched our website, making it even easier for our customers who were online to order. We still took most of our orders by phone since many people did not yet have regular internet access, but even today, with our online shop just a tap away on your cell, we'll gladly answer the phone and help you pick just the right items for us to ship to your door. Does MACkite have any events I can attend? Yes! We love bringing the fun outside the store. 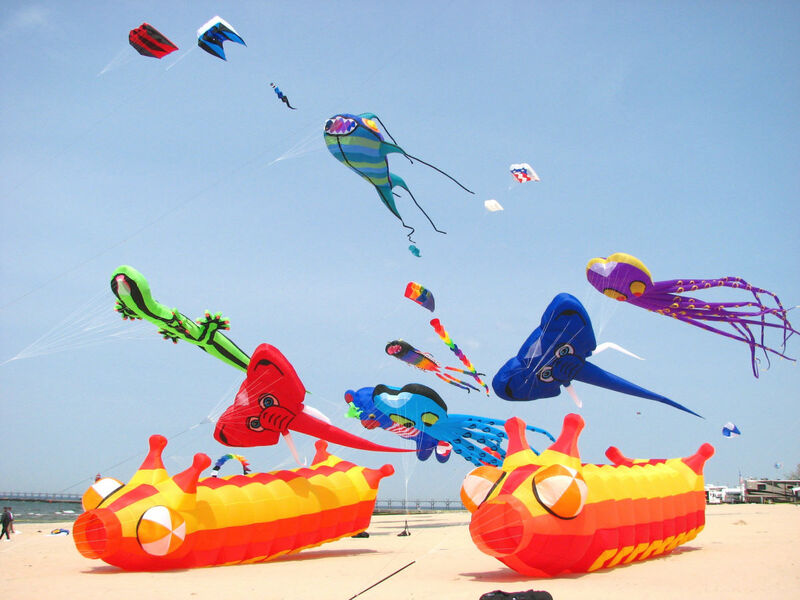 In the fall, we head down to the beach to fly kites- kiteboarding kites! Whether or not you're a kiteboarder, the King of the Great Lakes Kiteboarding Test Fest is a must-see. 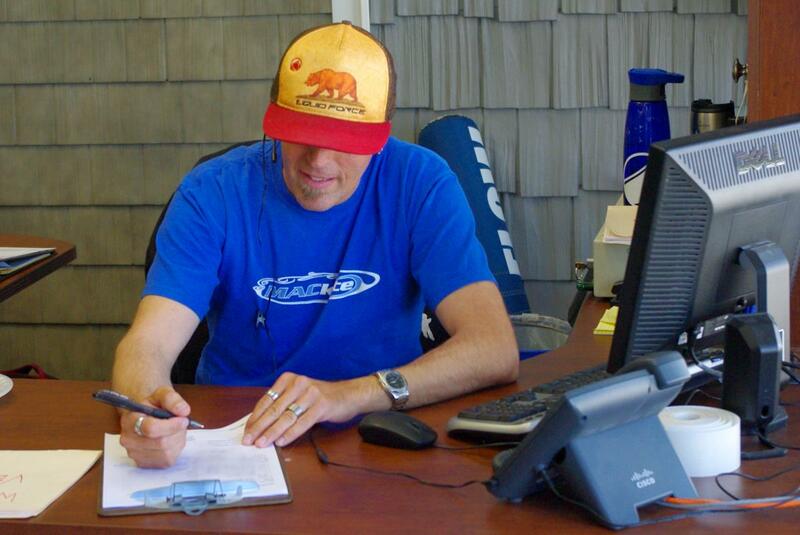 Dozens of kiteboarders from all over crowd the beach to try the upcoming season's new gear. Watch them race across the lake at breakneck speeds and soar high into the air. When the wind's just right, you may even see a little friendly competition among riders to see who can pull off the most impressive tricks. Oh- and all those "kiteboarding fail" videos on YouTube of kiteboarders crashing into the water? That's just a normal part of the sport, and the ones who crash the most are the ones pushing themselves to be the best. You'll see plenty of spectacular tricks and crashes this weekend! Our on-staff kendama and yo-yo pro Dan leads our classes where kids of all ages can learn tricks on their skill toys and earn prizes for completing levels- all for free! This class takes place throughout the year, and current times and locations can be checked on our events page.